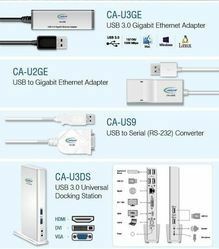 Offering you a complete choice of products which include usb to serial converter, usb to hdmi adapter with audio support, cadyce usb to gigabit ethernet adapter, cadyce usb 2.0 7-port hub, usb to ps 2 converter ca ups2 and usb 3.0 with 4 port hub. 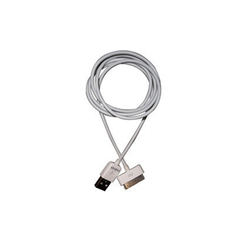 We are a well-known organization that is engaged in manufacturing, supplying, distributing, wholesaling and exporting USB To Serial Converter. 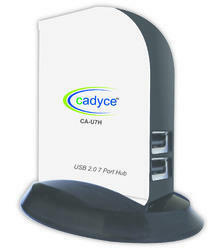 Our product-line operates as a bridge between one USB port & standard RS serial port. 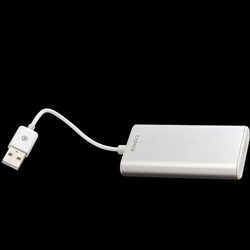 To meet diverse requirements of customers, we offer these converters in various specifications. 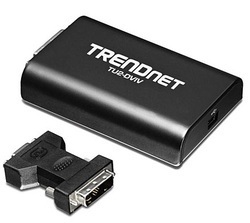 Application Connects desktop or laptop PC to a 10/100/1000mbps network. 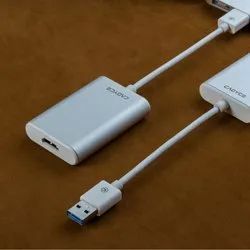 Power Used Suspend mode, hibernation mode. 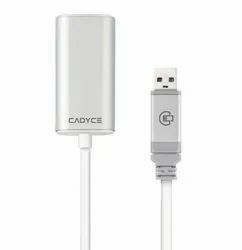 Features• Supports 10/100/1000 Mbps Auto-sensing capability• Supports Auto MDIX (Straight and cross network cable auto-detection)• USB 1.0, 1.1, 2.0 compliant• Supports USB full and high speed modes with bus power capability• IEEE 802.3, 802.3u and 802.3ab (10Base-T, 100Base-TX, and 1000Base-T) compatible• Supports both full duplex and half duplex operation in Fast Ethernet• Supports Jumbo packet of upto 9 KB• Supports suspend mode and remote wakeup via link-up and magic packet The USB to Gigabit Ethernet Adaptor converts a USB port in to a 10/100/1000 Base-T Ethernet port.USB to Gigabit Ethernet AdapterCA-U2GEUSB Products CA-U2GESpecificationsItems Description Data Transfer Rate Ethernet: 10Mbps (Half/Full Duplex)Fast Ethernet: 100Mbps (Half/Full Duplex)Gigabit: 1000Mbps (Full Duplex)Function Connects desktop or laptop PC to a 10/100/1000mbps network.Standard USB 2.0, 1.1IEEE 802.3: 10Base-TIEEE 802.3u: 100Base-TXIEEE 802.3ab: 1000Base-TPower Bus Powered.Power Consumption 950 mW Power Management Suspend mode, hibernation mode.Supported OS Windows 2000, XP, Vista, Windows 7/8, Mac OS X 10.4, V10.5 and above. 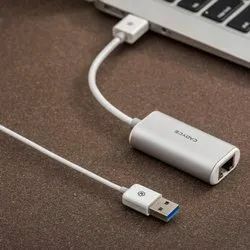 Also supports Linux2.6.9 Linux kernel 2.6.38LEDs 1000Mbps, Link RAM Embedded 20KB SRAM for RX packet buffering and 20KB SRAM for TX packet buffering Operating temperature 10 to 40 degrees Accessories Driver CD, Quick Installation Guide.USB to Gigabit Ethernet Adapter. 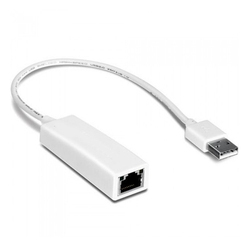 The UPort™ 1150/1150I USB-to-serial converters allow you to connect 1 RS-232/422/485 device to your laptop or workstation through the USB (Universal Serial Bus) port. 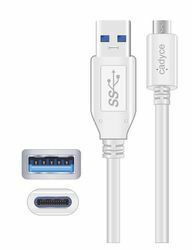 These plug play USB solutions are compatible with both new and legacy RS-232/422/485 devices, and are perfect for mobile, instrumentation, and point-of sale applications. 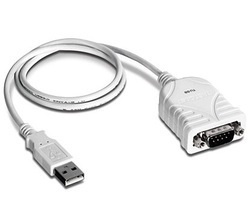 USB plug play makes serial port expansion easy, and does not require IRQ, DMA, or I/O address resources. 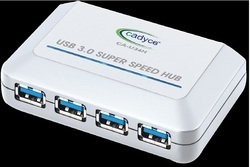 Users no longer need to open the chassis or power down the system to add COM ports, saving on setup time and cost. 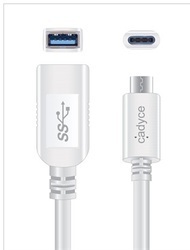 We offer various types of USB Accessories and Cables which supports upto Win10 & Mac OS. 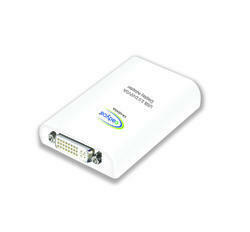 Buffer Size Unified 512 byte buffer, Dynamically allocated for upstream and downstream data flow. 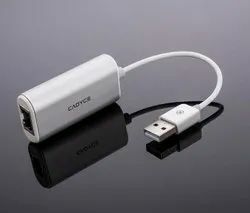 USB 3.0 Gigabit Ethernet Adapter CA-U3GE allows user’scomputer instantly connect to a 10/100/1000Mbpsnetwork through an existing USB port. 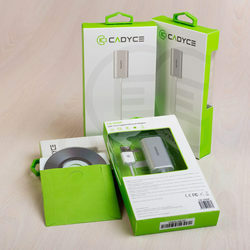 Reversible C Type connector to plug easy. 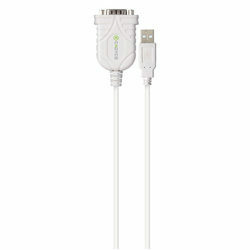 Our company is well known in the industry for the manufacture, supply and service of outstanding quality USB Data Cable. 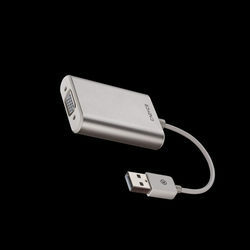 Attractive, high performance, reliable, durable and dimensionally stable are some appealing features of these products. 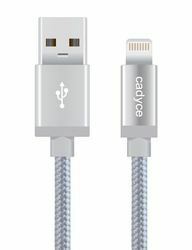 These are appreciated for their excellent tensile strength, breakage resistance, good texture and fine finish. Our experts ensure their adherence to the industry standards by conducting rigorous quality assurance tests on them. Peace of mind: All Cisco 90 Series switches are protected for the life of the product by the Cisco Limited Lifetime Hardware Warranty. 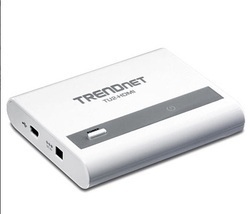 Windows 2000 SP 4 , XP Home or Professional (Including Table edition) SP2 or SP3, Vista SP1 (32-bit or 64-bit) and Windows 7 / 8 (32-bit or 64-bit), Mac OS. 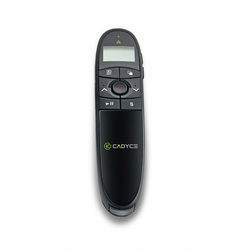 Cadyce Wireless Presenter CA-XWP allows you to make your presentation more effective.